Kenia A. is using Smore newsletters to spread the word online. 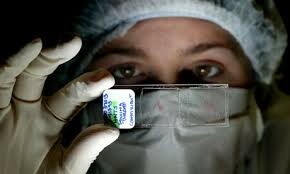 Description: Forensic science technicians help investigate crimes by collecting and analyzing physical evidence. Many technicians specialize in either crime scene investigation or laboratory analysis. Most forensic science technicians spend some time writing report. Collect, identify, classify, and analyze physical evidence related to criminal investigations. Perform tests on weapons or substances, such as fiber, hair, and tissue to determine significance to investigation. May testify as expert witnesses on evidence or crime laboratory techniques. May serve as specialists in area of expertise, such as ballistics, fingerprinting, handwriting, or biochemistry. Education/Training needed: Forensic science technicians typically need at least a bachelor’s degree in the natural sciences, such as chemistry or biology. Students who major in forensic science should ensure that their program includes extensive course work in mathematics, chemistry, and biology. Students who attend more general natural science programs should make an effort to take classes related to forensic science. Forensic science technicians receive on-the-job training before they are ready to work on cases independently. 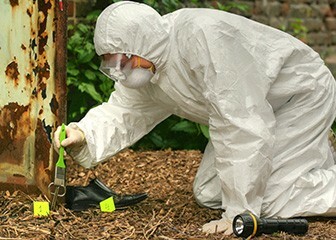 Newly hired crime scene investigators typically assist experienced investigators. New investigators often learn proper procedures and methods for collecting and documenting evidence while working under supervision. Forensic science technicians learn laboratory specialties on the job. The length of this training varies by specialty. Technicians may need to pass a proficiency exam or otherwise be approved by a laboratory or accrediting body before they may perform independent casework or testify in court. Throughout their careers, forensic science technicians need to keep up with advances in technology and science that improve the collection or analysis of evidence. Job outlook: Employment of forensic science technicians is projected to grow 6 percent from 2012 to 2022, slower than the average for all occupations. Scientific and technological advances are expected to increase the usefulness, availability, and reliability of objective forensic information used as evidence in trials. In addition, the use of forensic evidence in criminal proceedings is expected to expand. Popular media has increased the awareness of forensic evidence among potential jurors, and there is now an expectation that forensic evidence should contribute to many trials. More forensic science technicians will be needed to provide timely forensics information to law enforcement agencies and courts. Career connections: When Gary was asked what he like about his job he said "I get to combine two of my interest: public service and science". Another forensic scientist, Jennifer McDaid, was what she enjoy on her job she said "I enjoy the variety I experience within my working day." Courses: Science & Math. Science is beneficial because a Forensic needs to be able to analyze evidence and perform chemistry to find either toxins or use the DNA fingerprint to find out the suspect. Math because I need to be able to do calculations and have evidence to support my conclusion. Extra-curricular Activities: Math team, Creative Writing, and Art Club. Math team helps me expand my diversity by giving me challenging problems that are not even taught yet. Math is beneficial to join because it also helps you with your math skills and gives you the opportunity to test your knowledge. Creative writing is beneficial because by joining it I can be able to know how to write and if you want to be a forensic you need to be able to write reports about your investigation. Art club is beneficial because I don’t know how to draw well and being a forensic means being able to draw the crime scene. By being in Art Club it would help me by becoming a better artist. Work/volunteer Experience: I can volunteer at being an intern in a science lab. It would help me with being able to recognize important steps to take when doing an experiment. Or volunteer to work in a hospital so that I can see what they do with sick patients and how to treat them. College: John Jay College of Criminal Justice of CUNY- New York, NY Wichita State University- Wichita, Kansas, Salem State University- Salem, Massachusetts and Loyola University of Chicago- Chicago, Illinois. I choose John Jay College of Criminal Justice of CUNY because the campus looks really pretty and I want to go to New York and be a tourist. I chose Kansas because I want to go somewhere where its not as common. Salem State University sounds like an interesting place and I want to go to Salem because that is where the witch trials took place many years ago and that interest me. I choose the Loyola University of Chicago because even if I want to go places I don't want to be far from home. 3 college majors would be private detectives & detectives, Forensic Science and Technology, and Chemists and materials scientists. Training/Certificate Programs (if application): A range of licenses and certifications are available to help credential and aid in the professional development of many types of forensic science technicians. Certifications and licenses are not typically necessary for entry into the occupation. Credentials can vary widely because standards and regulations vary considerably from one jurisdiction to another.